The best thing about having a week to discover Barcelona is that, as well as having enough time to visit many sights, those considered top-priority and unmissable as well as some of the lesser-known sights which add to Barcelona’s charm, it will also allow you to do this in a much more relaxed fashion, as well as having the option to arrange a couple of day trips to one of the nearby coastal towns. As a basis, we recommend using our suggestions in the ‘Barcelona in 4 days’ plan, and supplementing it with some of the ideas below for the remaining three days. Although one week may be a lot to visit Barcelona, the truth is that the charms this city hides are so many and are spread around zones and neighborhoods so different that the advice, recommendations and experiences that a local expert can can bring to you are invaluable. 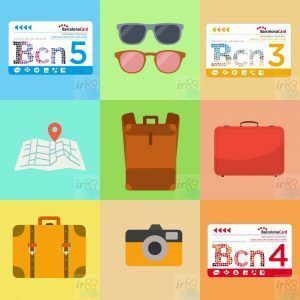 Thanks to his notes and indications you will be able not only to get to know the city, but also live and enjoy the real Barcelona and to do it almost like another Barcelonian. 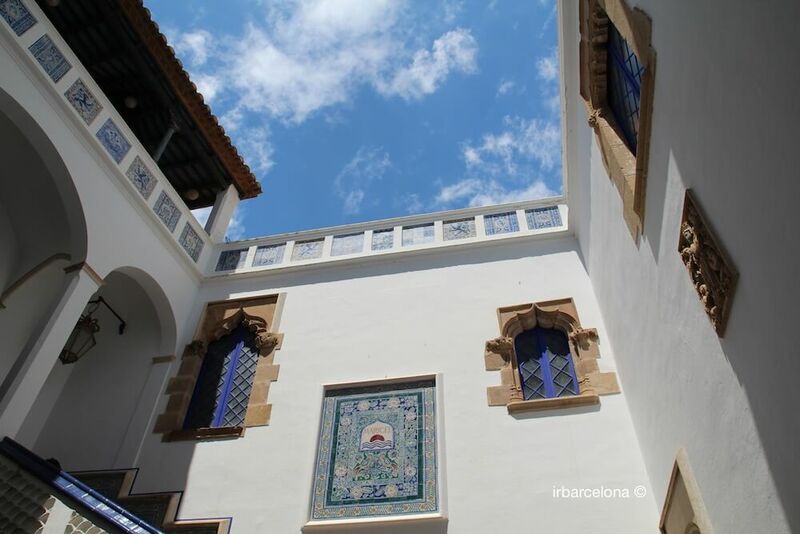 Sitges, around 40km from Barcelona, is probably the most touristic town in the region. 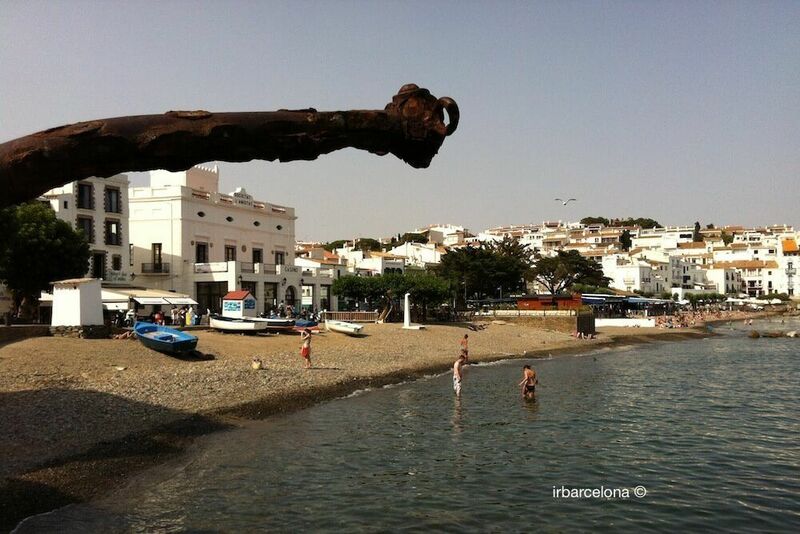 It’s a coastal town with several beaches and coves, and a charming old town. It’s a joy to walk through the narrow streets of Sitges, taking in the iconic images of its whitewashed houses. 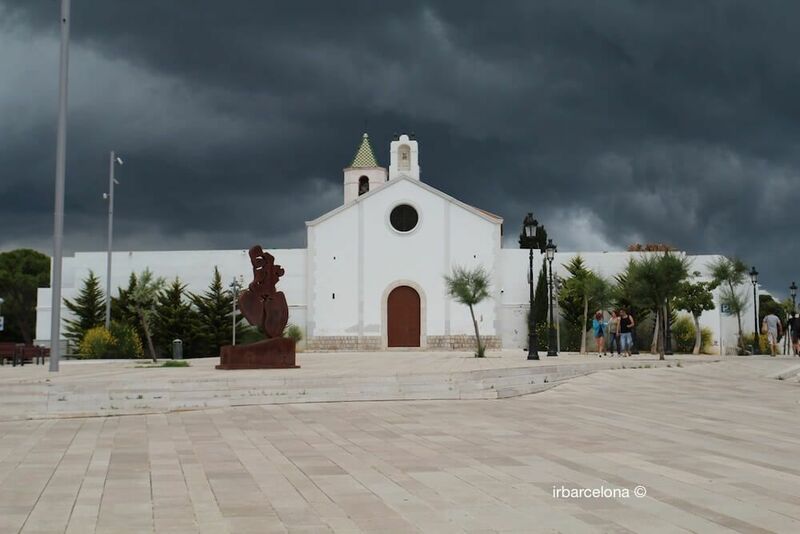 While you walk, you’ll come across large houses, museums and churches. 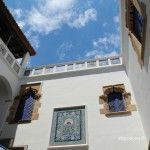 Another of Sitges’ charms lies in its wide offer of cuisines, as you will be able to sample typical dishes in many of the town’s bars and restaurants. There are also a huge amount of shops, many of which cater for the gay community, since the town is considered one of the most gay-friendly places in the world, and is a favourite destination for gay and lesbian visitors. 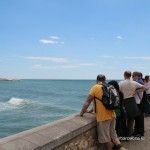 We recommend that when you arrive in Sitges, you wander round the streets a bit before settling on one of the beaches, so you’ll be ready for a dip in the sea and a morning’s sunbathing. At lunchtime you will be spoilt for choice, since there are many bars and restaurants and you won’t have a problem finding one that you like. If you see a place you like the look of in the morning, it’s worth making a reservation in order to avoid disappointment. You could spend the afternoon discovering the town, walking along the seafront, visiting one of the many sights or doing a bit of shopping. 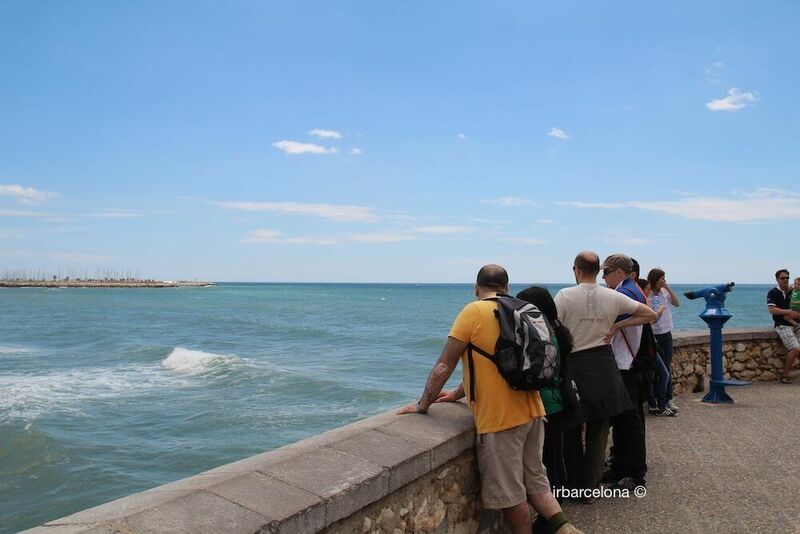 If you’d like to find out more about the sights, the best beaches and coves, where to eat and any special activities and events that are taking place in Sitges, have a look at the information that you’ll find in the ‘Day Trip to Sitges’ section. From Barcelona: there are various stops (Ronda Universidad 33, Carrer Sepúlveda and Plaça España). Arrival in Sitges: Sitges bus station. Approximate price: €4 each way. Return journey €8.. Arrival in Sitges: Sitges station. Approximate price: €4.50 each way. 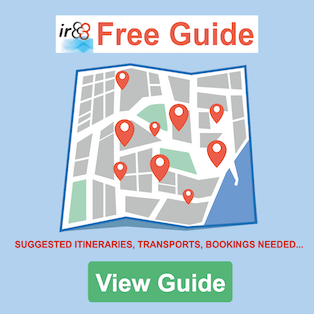 Return journey €9. * This journey could involve toll roads. 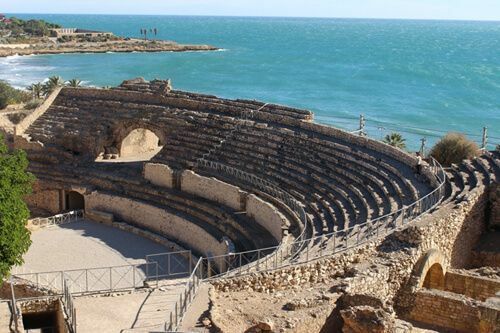 When to go: the best time of year to go to Sitges is in the summer, when you’ll be able to swim in the sea and spend time on one of the beaches or coves. Although the beaches might not be so inviting, April, May and October are also good months in which to go. In October you may still be able to go in the water, but the temperature could be considerably cooler than is advisable! 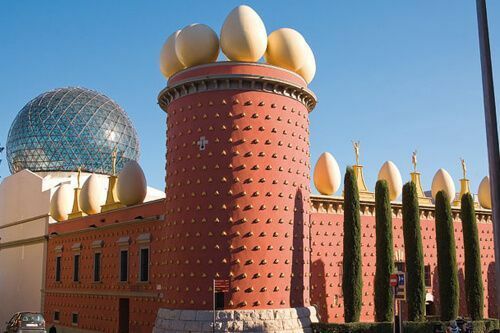 Alternatives: If you’re travelling in the winter months, or if you don’t fancy going to Sitges, a good alternative could be to take a day trip to PortAventura, or to spend the day relaxing in Barcelona itself, wandering round the sights that you haven’t already seen, and visiting places that you are yet to discover. 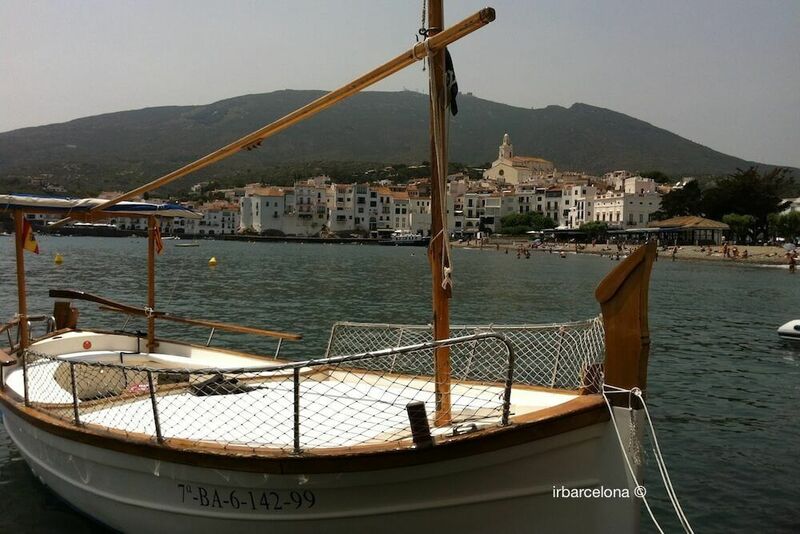 There are many towns and villages that are worth a visit along the Costa Brava (Calella de Palafrugell, Tossa de Mar, Begur…) and out of all of them, we have selected Cadaqués for your day trip. 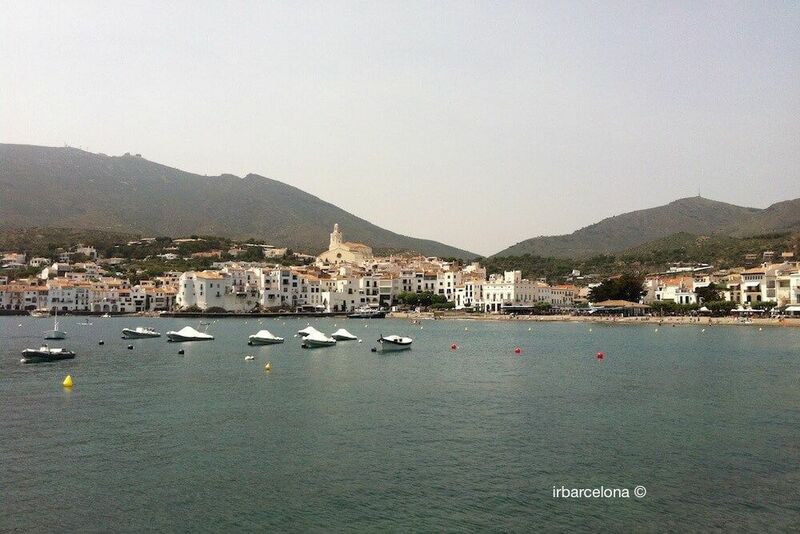 It’s around 180km from Barcelona, and it’s one of the most beautiful coastal towns in the region of Girona. It’s a small town with a rich tradition in fishing, and over the years it has done well to keep its traditional charm intact, with its pretty landscape and typical whitewashed houses. You’ll find plenty of small shops and many restaurants. It’s a must-see town, if you’re in Barcelona for several days in the summer months and have enough time to spare. 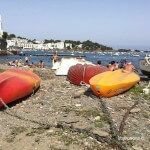 As the journey up to Cadaqués will take you around 2¼ hours in the car, or 2¾ hours on the coach, we recommend getting up early to make the most of the day. 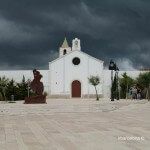 This will give you time to have a little stroll round the village first thing, and to spend time on the beach before having lunch in one of the town’s many wonderful restaurants, where you can enjoy local specialities such as paella, fideuá, fish and seafood. We do recommend booking a table in advance, perhaps even online the day before, to avoid disappointment. 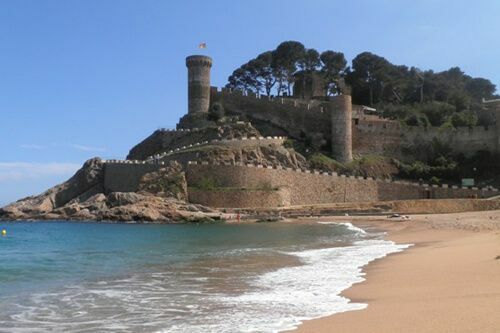 Just after eating, we recommend that you walk along the Camí de Ronda, which takes you up to the Cala Nans lighthouse. 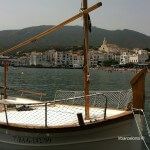 From there you’ll see wonderful views of the coast, and of Cadaqués itself. The walk to the lighthouse will take you around 1¼ hours, but we recommend that just before arriving at the lighthouse, you walk down the hill to a small cove, where you’ll be able to take a refreshing dip in the sea, before completing the trip. 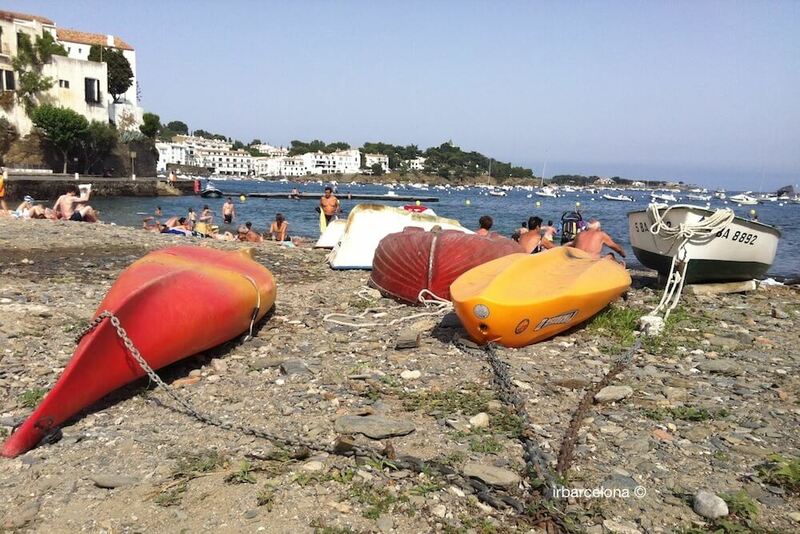 The return journey, including stopping for a rest in the cove, should take you around 3½ hours in total, so we expect that you’ll arrive back in Cadaqués in time for another short wander round the town’s beautiful narrow streets, for a drink in one of the bars and even for dinner, before returning to Barcelona. From Barcelona: Estació del Nord. On arrival at Cadaqués: Cadaqués bus station. Approximate cost: €25 each way, so €50 return. 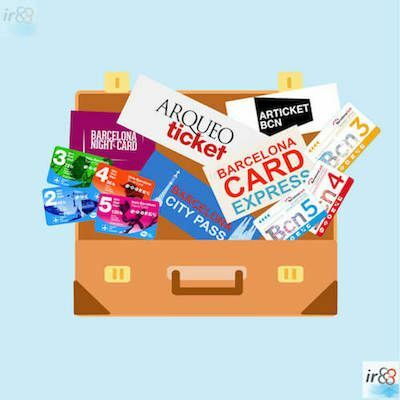 Tickets: you can buy tickets in the Estación del Norte itself, or in Barcelona’s tourist offices in the Plaça de Catalunya, the Plaça de Sant Jaume and next to the Christopher Columbus statue. Journey duration: around 2¼ hours. * NB this journey includes toll roads. 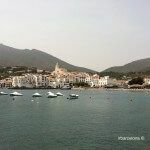 It’s also possible to so some of the journey by train, but as Cadaqués doesn’t have a train station, you’ll need to catch the train as far as Figueres, and then take a coach to Cadaqués. 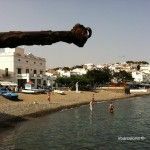 When to go: the ideal time of year to visit Cadaqués is from the end of May to the middle of September, choosing a sunny day so that you can make the most of your day. Alternatives: if you aren’t travelling to Barcelona during the summer months, we suggest visiting the Colonia Güell, as an alterative plan for your sixth day in the city. It’s more than likely that even after a few days in the city, there are still things you’d like to see and do. If this is the case, we recommend that you don’t hesitate to make the most of your last day, and to fit in as much as you can. If, however, you’ve roughly followed our plan so far, you could consider some of the things we’ve suggested below. After having visited Montjuïc on one of your previous days, you can’t leave Barcelona without visiting the city’s other iconic mountain, that of Mount Tibidabo. To get there, get to the bottom of the Avinguda del Tibidabo (the Avinguda Tibidabo station of the FGC, and buses 12, 22 and 73). 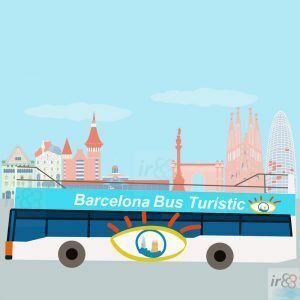 From there you can catch one of the most charming tourist attractions that Barcelona has to offer, the Tramvia Blau (we suggest checking the timetables before setting off), which will take you up to the Plaça del Dr. Andreu. In the small square, situated at the foot of the Tibidabo Mountain, you’ll find a few bars and restaurants, as well as the second quirky form of transport for the day – the Funicular del Tibidabo – which is your means of reaching the top of the mountain. Once at the top of Tibidabo you can visit the impressive Temple of the Sacred Heart of Jesus, that you will have surely seen from afar earlier in the week, from one of Barcelona’s viewpoints. After visiting the church you have two options. 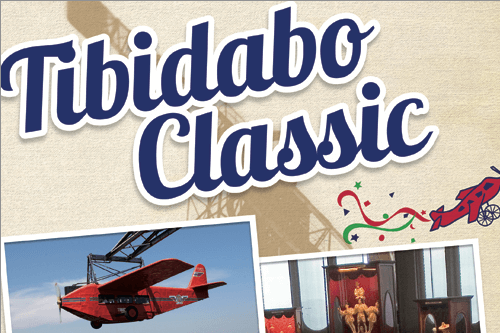 The first is to spend the rest of the day in Tibidabo’s amusement park, where you’ll also be able to have lunch. This is a great option if you’re on holiday with children, or simply if you want to enjoy a fun-packed afternoon on your last day. 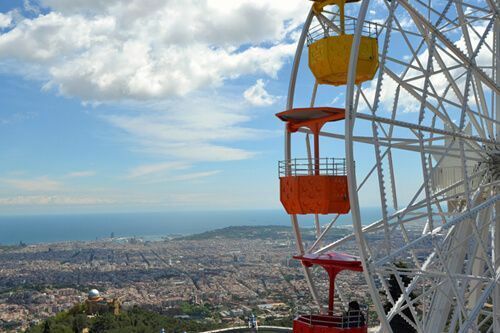 If the amusement park isn’t your cup of tea, you could have a walk round the area, giving you the chance to take photos of the magnificent views of Barcelona that you can enjoy from Tibidabo. After your walk, return to the Plaça del Dr. Andreu, either on the funicular or in the 196 bus (which is cheaper than the funicular, and you can also use your Barcelona Card or Hola Barcelona travel card). 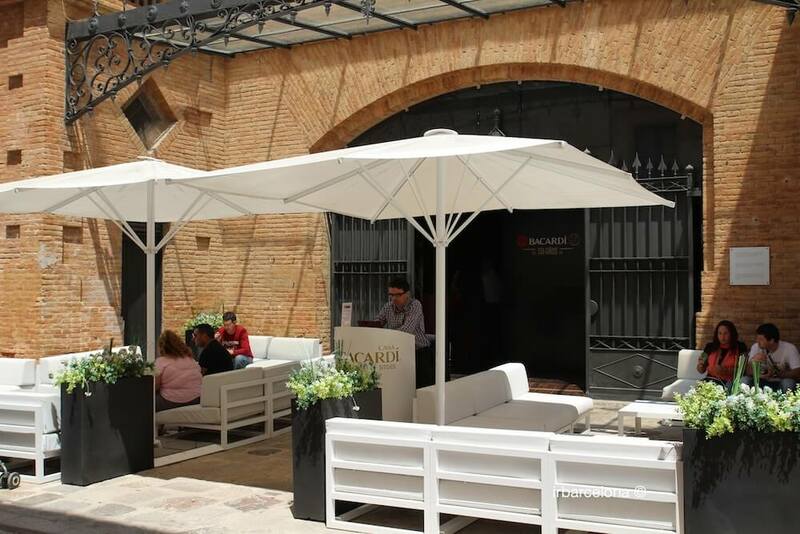 When you get to the Plaça del Dr. Andreu, why not go to the Restaurant Mirablau, where you can eat whilst enjoying a wonderful panoramic view of the city. When you’ve finished, we recommend following the Tramvia Blau route back down on foot, because it’s much easier to go downhill, and it’ll allow you to see the gorgeous houses on both sides of the Avinguda del Tibidabo. 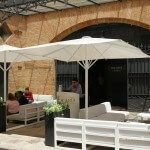 They are former second homes of Barcelona’s wealthy folk, and now have many uses, from private clinics and old people’s homes to embassies and even a restaurant, the well-known Asador de Aranda, which is another good option for lunch. When you arrive back at the Avinguda Tibidabo FGC station, take the train back to Plaça de Catalunya, from where you can make the most of the rest of the afternoon, going for a gentle wander, doing some last-minute shopping, and saying farewell to the city by going for a drink outside one of the many nearby luxury hotels. When to go: for today’s plan it’s really important to pick a day with good weather, as you’ll be outside nearly all day. Although the sun doesn’t necessarily have to shine all day, you could do without rain! An alternative plan: If you’re true fans of amusement parks, it’s likely that Tibidabo might not be quite enough for you, so we recommend going to Port Aventura instead, which has a much greater variety of rides and attractions. 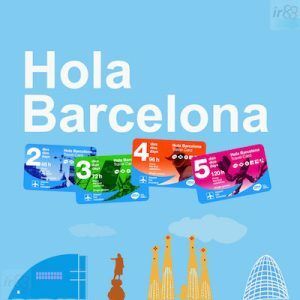 For five of the seven days that you’ll be in Barcelona, we think the best option in order to save money on public transport is to buy a Hola Barcelona travel card, which is just valid for public transport, or the 5-day Barcelona Card, which also includes entry to various museums and places of interest, as well as discounts on many more sights. Price of Hola Barcelona 5 day pass: €35.40.